“We all get to the peak together, or we don’t get there at all.” These words were a defining moment in the acclaimed movie, Hidden Figures, which has been nominated for Best Picture at the 2017 Oscars. If you haven’t seen the movie yet, go as soon as you can. Hidden Figures is the adaption of Margot Lee Shetterly’s book by the same name. 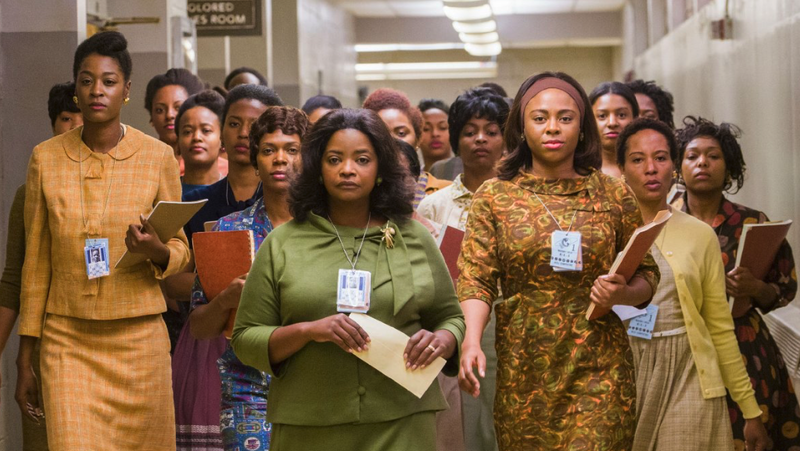 The movie is based on the true story of three African-American women mathematicians who were employed by NASA during the race between the United States and Russia to send a man into space. On April 12, 1961, Russian Cosmonaut Yuri Gagarin was the first human to travel in space, thus putting the US behind. The first American astronauts were all white men, as were the members of the elite Space Task Force. However, they were also supported by a group of black women who served as human computers, doing math computations by hand in the West Area Computers Division of the Langley Research Center in Virginia. These “hidden figures” were segregated from all of the white employees in a separate building. The movie focuses on three women: Mary Jackson, who was NASA’s first African-American female aerospace engineer; Dorothy Vaughan, an early pioneer in computer processing and NASA’s first African-American manager; and Katherine Johnson, an expert in analytical geometry who was promoted to a position as the only woman in the Space Task Group. 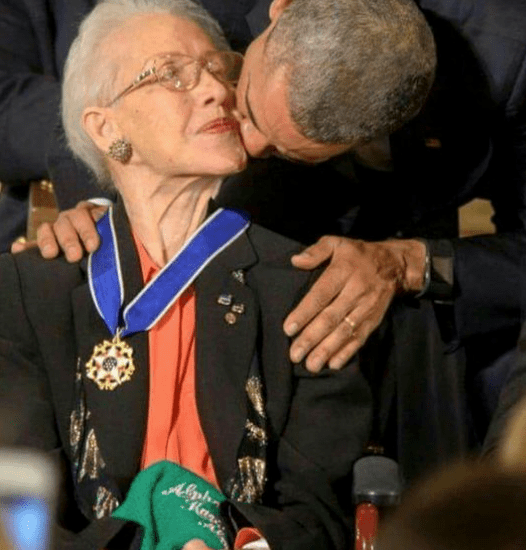 It was Katherine Johnson who calculated the trajectory for Alan Shepard, the first American to do a sub-orbital Mercury-Redstone flight on May 5, 1961. When John Glenn became the first American to orbit the earth aboard Friendship 7 on February 20, 1962, Glenn requested that Johnson personally recheck the computer calculations before his flight. In 2015, President Obama presented her with the National Medal of Freedom, the nation’s highest civilian award. You need to see Hidden Figures because this movie provides wisdom for the most important issues facing our world today. God calls each one of us to lead by encouraging others to develop their gifts in order to make a difference. The movie opens with a scene where Katherine Johnson’s parents realize that their youngest of four children was a math prodigy. At a time when public schooling normally stopped at eighth grade for African-Americans, Katherine’s parents drove her 120 miles away so she could go to high school. She graduated from high school at age 14 and attended West Virginia State College, a historically black college. Katherine graduated from college at age 18, having taken every math course available. Who knows what Katherine’s life would been like had her gifts not been nurtured? Who are you helping to make full use of their God-given potential, especially those who might not have the same opportunities as others? Sometimes it takes a “majority” person to recognize, admit, and move beyond their own prejudices by opening the door for the hidden figures of the marginalized to reach their full potential. Who needs you to advocate for them? God hopes that we will see each person in this world as a child of God and not as a thing or a number or a loser. We go first by having the courage to do the right thing. God is delighted when we believe in our own belovedness and tap into our inner strength to speak out against injustice wherever it is present. Dorothy Vaughan has supervisory responsibilities in the West Area Computers Division, but there is never formal recognition of her skills or a raise in salary by her white supervisor. But Dorothy knows that she has gifts, so she takes it upon herself to keep learning. She goes to the library and teaches herself to be an expert on FORTRAN, a programming language necessary for transition to computers. Eventually, Vaughan is promoted and brings thirty of her women to the new department. Who do you know who needs to be reminded of their belovedness? Our country and our world will flourish when we put our energy into working together for peace and prosperity for all, rather than just for some. When Al Harrison finally addresses the inequality of Katherine Johnson’s treatment in the Space Task Team, he says, “We all get to the peak together, or we don’t get there at all.” As 7.4 billion human beings living in one world, we are all in this together, so it’s time to start caring for one another. As 322 million Americans in the United States, it’s time that we begin working together to create a future of hope for every person. As 12 million plus United Methodists around the world, it’s time that we resolve to model what it means to be the body of Christ by honoring and celebrating our differences so that all may participate in the reign of God. There is a scene in the movie where John Glenn meets all of the NASA workers who are preparing feverishly for his historic flight. Glenn’s handlers are eager for him to move on, but he insists on greeting and shaking hands with the hidden figures, all of the African-American women in the West Area Computers Division. On the day of Glenn’s flight, Johnson has been moved to the Research Department. However, when a problem arises with computer calculations for the flight, Glenn asks specifically that Katherine do the calculations by hand because he knows how skilled she is. Johnson provides the necessary information, and the flight is a success. Who are the hidden figures in your life? Who are the hidden figures in your community? Who are the hidden figures in our country and world? What greatness is hidden inside of you? How is God calling The United Methodist Church to reach out and engage the hidden figures of our world with the grace and hope of Jesus Christ? We all get to the peak together, or we don’t get there at all. I am making an effort to be in touch with my national and state representation, one or more, every day. Thanks for this message of support for standing up. This is awesome! Thank you, Laurie! I agree! The movie was inspiring, the women were and are, national treasures. When we overlook others value because we can’t see it or won’t see or our prejudices say it couldn’t possibly exist, we only shortchange ourselves. Here’s to the heros who look beyond the easy prejudice. Bishop, you made me cry! Thank you! I haven’t seen the movie, but I just finished reading the book last week while on vacation. It is on my best ten list. Thank you for expressing so clearly the hidden historical importance of these women, and helping us to connect their experience to events mirroring our own prejudices. I found it troubling that this was the first time that I had the opportunity to read about their contribution to our development of space exploration.